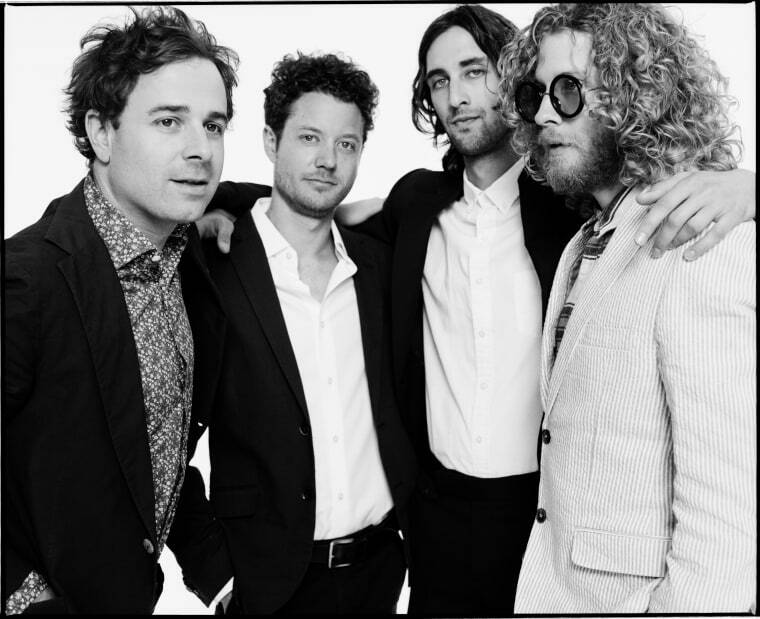 Dawes will release their fifth album, We’re All Gonna Die, on September 16 via their own label, HUB. If last year’s All Your Favorite Bands was a sweet source of comfort-rock, the new record is something of a wake-up call, with sharper sounds and harsher vibes, straight from the jarringly fuzzy note that opens its title track, debuting on The FADER today. Hear the new track then read a brief interview with Goldsmith about how the song led to their rekindled collaboration. “We're All Gonna Die” starts so bare, with just a simple drum machine and that fuzzy guitar. Where did that come from? I write most of my songs on an acoustic guitar or on a piano and try to leave it open for the band to do what they will on top of it. In the case of "We're All Gonna Die," i used GarageBand as the instrument with which to write it. At first it was just a means of amusing myself and I wasn't really taking any of it too seriously. It definitely didn't sound like a Dawes song. But once the melody started falling into place and the words followed along, I started to think otherwise. I felt like our interpretation of an amateur GarageBand recording could actually be interesting. And that held true. We weren't sure if this song was gonna fit with the rest of the material at first, but once we started playing it on our respective instruments rather hearing them programmed on a computer, not only did the track feel essential but it really defined the mood of the rest of the record. At this point, it feels like the anchor that puts everything else into perspective. What led to you getting back in the studio with Blake Mills? And what new things did that collaboration open up for you that maybe weren’t there a decade ago? We always have orbited around each other. We've always been involved in each other's work, whether it's playing in each other's shows or showing each other new songs. Working together in a more serious way like this has been talked about for a long time. The first song I wrote for this record was actually "We're All Gonna Die" and right away it felt like it was the beginning of a batch of tunes that would be perfect for Blake to be a part of. We really buckled down and committed to making decisions/going in directions we have never gone before. We've always spoken the same musical language as Blake, since we came up together musically as kids, but this was our first chance to not only utilize it, but to challenge it together. It’s been just a little over a year since All Your Favorite Bands came out — it seems like there was a real sort of urgency in this record, both in the darker subject matter and its actual creation. Where’d that urgency come from? We're addicted to our jobs. I think that's where the urgency comes from. We get withdrawals once a record is done being recorded. And the thrill of releasing a new album and taking it on the road is something that just gets stronger every time. If it were up to me, we'd be putting out a record a year every year. There's a lot to sing songs about. But I never wanna rush the material too much, so the songs sort of dictate when we're ready to record each album.